You’re never too old to become a superstar. 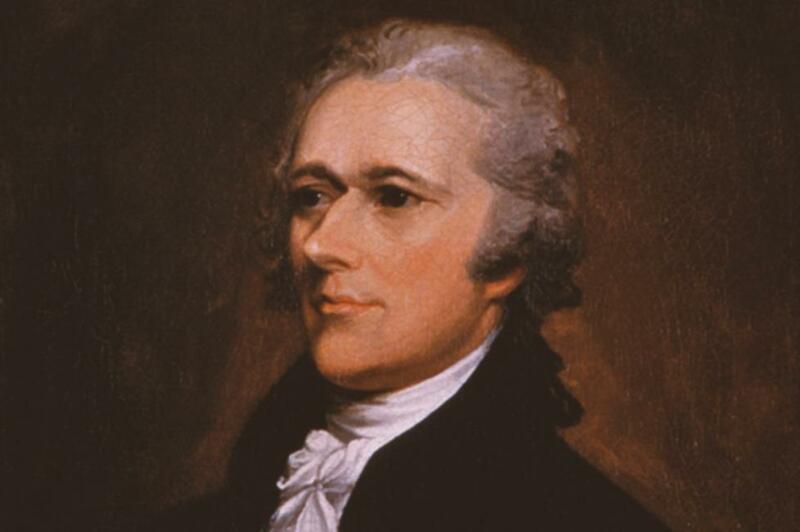 Just look at Alexander Hamilton: On January 11, the founding father turns 263 - probably; his actual birth year is disputed - and he’s more famous than ever thanks to the white-hot Broadway musical inspired by his remarkable life. And while you might have a tough time snagging tickets to that show, you can still have a Hamilton experience of sorts at these A-Ham-related sites around his beloved adopted home of New York State. Hamilton was born in the tiny Caribbean island Nevis (fun fact: He’s the only founding father born outside of the colonies), but after he moved to New York he never looked back. 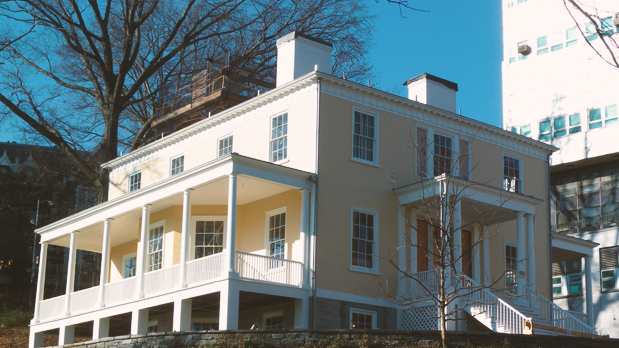 His family home in New York City is now maintained by the Parks Department open to the public. Hamilton was a New York City boy, but his ties extended upstate. 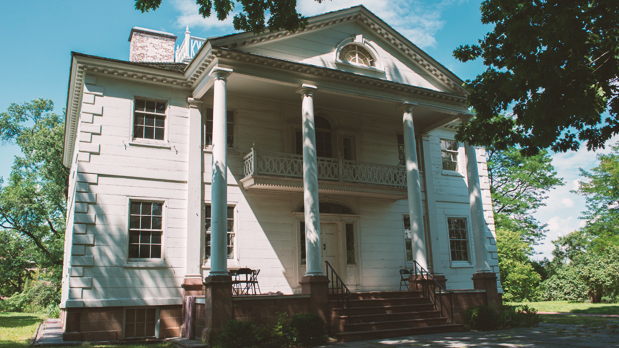 His wife, Elizabeth Schuyler, grew up in this mansion, and the pair were married here in 1780. Today the site is open to the public, with year round exhibits about the Schuyler family as well as the Revolutionary War history that was made here. Alexander Hamilton was a guest at what is now Manhattan’s oldest house, which was also briefly the home of Aaron Burr who killed Hamilton in a duel in 1804. For fans of the Hamilton musical, though, the museum holds even more significance. Lin-Manuel Miranda wrote portions of the show in this space - right in Aaron Burr’s former bedroom. 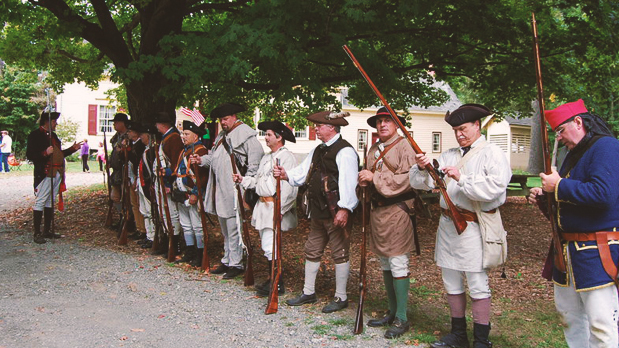 Thanks to its strategic location, this unassuming Dutch Colonial house became a supply depot for the Continental Army during the Revolutionary War. Historic figures who worked out of the site include George Washington, the Marquis de Lafayette, John Jay and our man Alexander Hamilton. Today the museum shows you how 19th Century New Yorkers lived by exploring Colonial crafts, original woodwork, paintings and more. Another hotbed of Revolutionary War activity, Fraunces Tavern hosted a dinner party where Aaron Burr and Alexander Hamilton were both in attendance - just one week before their fateful duel. Today the site is a museum as well as a bar and restaurant. Eat, drink and be merry - just don’t get any ideas about pulling pistols in Weehawken. 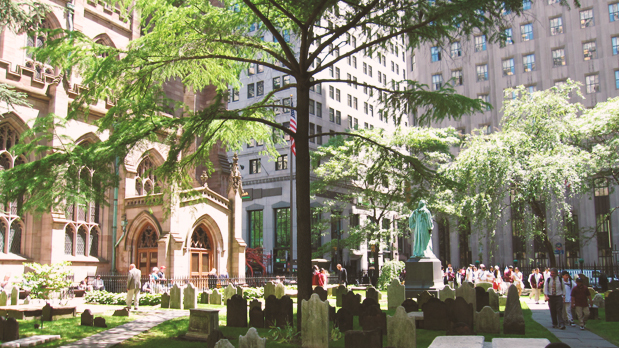 Alexander Hamilton and his wife Elizabeth are among the many famous New Yorkers buried at this lower Manhattan historical site, though this is the second incarnation of the church - the first one burned in 1776 after the British occupation. Today the church is still active, and its grounds (including the cemetery) are open to the public. For much more about Alexander Hamilton, visit the Alexander Hamilton Awareness Society, which is dedicated to promoting awareness of the ten dollar founding father, and produces tours and other events throughout the year. And to learn more about New York State history, check out Path Through History.